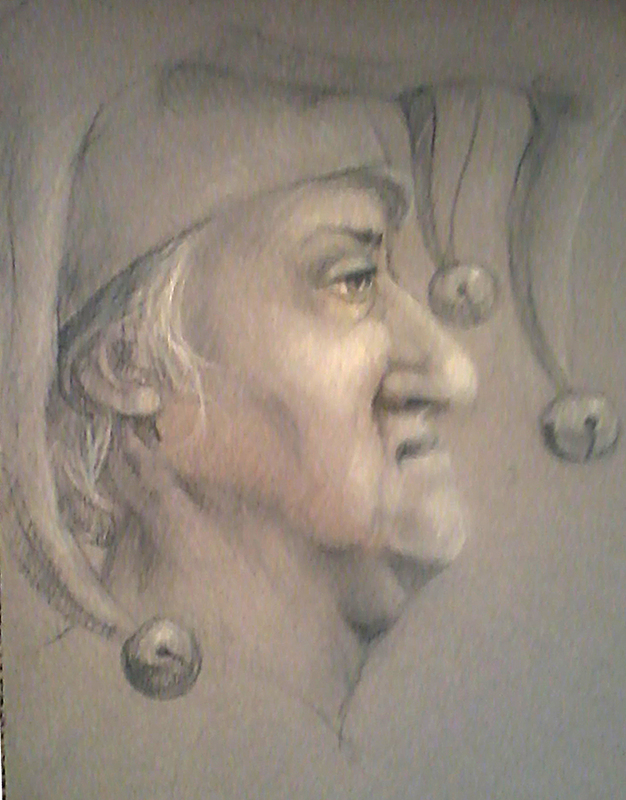 Riverview Art Studios: March MadnessFaces, Day 19: "Old Fool"
Faces, Day 19: "Old Fool"
We've returned to a more traditional portrait, with an addition. We're trying to explore expressions a little more. But after completing this one, the cap seemed a natural extension.